Your financial situation has become precarious and you are overwhelmed by debt. You decide to file for bankruptcy protection. But what do you do if you need a car? Will you be able to get a car loan? A few different scenarios could play out before, during and after a bankruptcy. 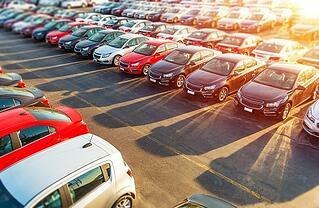 Before a bankruptcy, your obtaining a car loan is only limited by the condition of your credit. If your financial situation is severe, you may be subject to a "high risk" loan, similar to what you might receive after a bankruptcy. One important factor to keep in mind is that after the bankruptcy laws were amended in 2005, the law now requires that any car loan obtained up to 910 days prior to filing a bankruptcy must be paid in full. However, some finance companies may not enforce that requirement. Once you have filed, a few things will occur. First, your credit report will be flagged "involved in bankruptcy." Second, any new debt you incur cannot be discharged. This mean you will be subject to a high interest rate for the loan. Furthermore, if you have filed a Chapter 7 bankruptcy in New Jersey you cannot discharge this loan for at least eight years. Most lenders will want to wait until your bankruptcy is discharged, since many Chapter 7 bankruptcies are complete in three to four months. Still, some will provide loans after the 341 meeting. In a Chapter 13 bankruptcy, the court and trustee will have to agree to allow you to incur additional debt. Without this approval, you will not be able to obtain a loan, since the lenders will need to see the court order. After you have received your discharge in a New Jersey bankruptcy and the case is closed, a car loan will be expensive, but not unobtainable. To make the best impression with future lenders, it is recommended that you be very careful with your spending after the bankruptcy. If possible, you should also save some cash for a down payment on the car. You will simultaneously improve the interest rate you receive and demonstrate to the creditor that you can be responsible with money. Because the loan will be smaller, you will also be doing yourself a favor by having to pay less in interest over the life of the loan. If you need legal guidance for bankruptcy, contact our New Jersey bankruptcy attorneys today.